Motto: "Fate whispers to the warrior, ‘You cannot withstand the storm.’ The warrior whispers back, ‘I am the storm.’"
Burn wrote: Nice to know I'm irrelevant. I thought you liked to go under the radar? Retired snarky mercenary, currently being a PITA to Burn. You didn't even say hi the last time we hit stonecutters. Well I got a fancy new phone upgrade for free from o2 cos my previous phone had problems AFTER i'd resigned contact and had chosen all the credits rather than the phone upgrade. So yay! But anyways it means i can try out stuffs what didn't run on my old phone. Downloaded Forged to Fight and quite like that despite it's simple gameplay cos it's action and has some movieverse characters for me. Not sure about this one cos doesn't seem like my kind of game but hey I'll try it out now for the christmas bonus and see how it goes. "The expiry date on this link is 31/12/2016, Sun 11:59pm GMT." last year? I've said before I don't pay attention to wars. 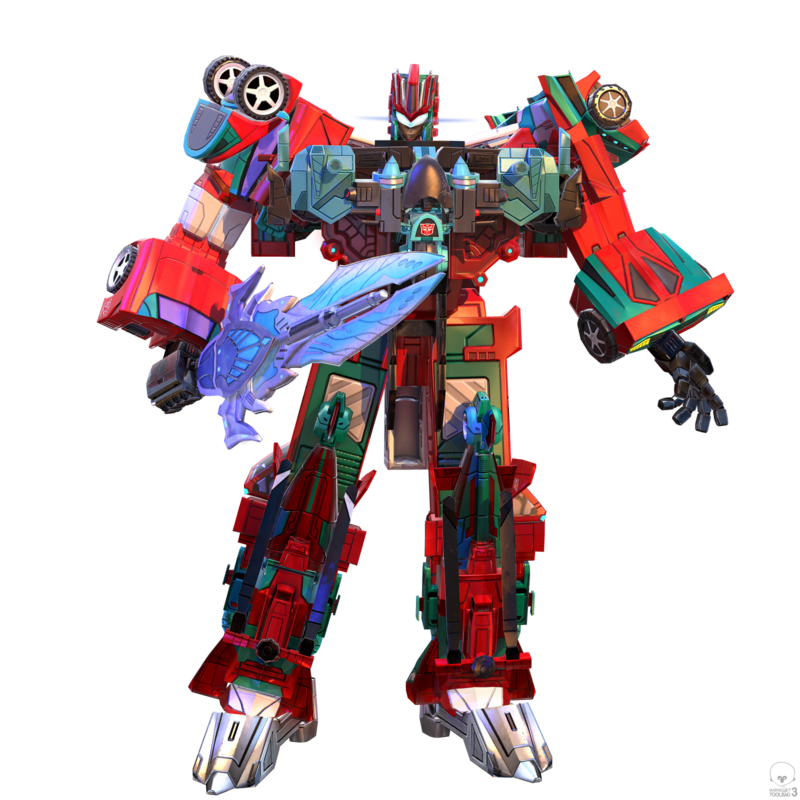 Space Ape has informed us that new combiners will now be part of Transformers: Earth Wars. Autobot Combiner VICTORION and Decepticon Combiner MENASOR will be joining the game very soon in the next couple of weeks. Several Transformers related websites have different info regarding these updates and the exclusive we have been given is Victorion's ultimate move. Noble Sacrifice: Deal heavy damage and disable enemies over a large area while losing 20% of your max Health. If this ability kills you, disable the enemy base for 10 seconds. You can learn about Menasor's ultimate move by visiting TFW2005 and you can find the game by going here. Here are the other sites who participated in sharing elements of this update, let us know what you learn from there in the comments! Looks like Lugnut above Megatron there and Elita-1 in front of Prime, sporting her PotP look. Don't know if they're already in the game or not, haven't been able to play it since phone doesn't have enough space. LevelRage wrote: Looks like Lugnut above Megatron there and Elita-1 in front of Prime, sporting her PotP look. Don't know if they're already in the game or not, haven't been able to play it since phone doesn't have enough space. Both debuted this weekend. Only the 2* versions are available at the moment, 3* and 4* versions in the morning after the event. Are they going to be 5 or 6 ‘bot combiners? MagicDeath wrote: Are they going to be 5 or 6 ‘bot combiners? It'd be a bit odd for at least Victorion not to be six bot, considering Rust Dust is both in-game, and really clearly slapped on her chest like the toy. Plus the Autobots don't have a six-team yet, right? 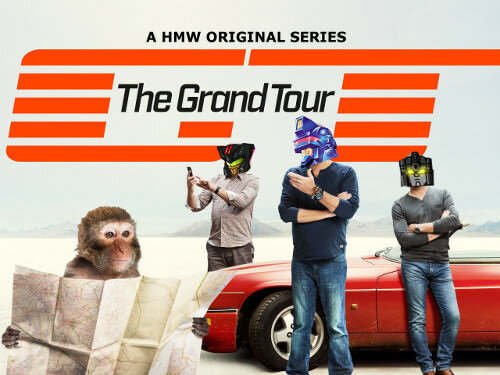 So it'd just even out the combiners. Like Nemisis Prime, but cooler. Location: Uh, I'm right here, aren't I? Superion is a six bot combiner for game purposes, Powerglide forms his gun. So far all combiners have been roughly equal to each other in composition and abilities, but evidently Menasor is going to be five parts while Victorion is six. Apparently the reasoning is that the Rust Renegades have all been in the game since launch while Motormaster is a fairly new character who will have been harder to get at 3 or 4 stars. King Kuuga wrote: Superion is a six bot combiner for game purposes, Powerglide forms his gun. So far all combiners have been roughly equal to each other in composition and abilities, but evidently Menasor is going to be five parts while Victorion is six. Apparently the reasoning is that the Rust Renegades have all been in the game since launch while Motormaster is a fairly new character who will have been harder to get at 3 or 4 stars. I guess that makes sense. I was kinda hoping for Offroad to be put in somehow. I was betting on one of Offroad, Brake-Beck, or Dead End taking the chest car slot somehow. Apparently not. Therefore I'm not sure why they even added him, since the game was released after Combiner Wars was mostly over. mooncake623 wrote: people still play this game? Well I for one am not nearly as active as I used to be, but yes, lots of people still play it. It's been a while since we had some proper news from the Space Ape / Backflip mobile strategy game Transformers: Earth Wars, but just this past weekend was its second anniversary of going live and still going strong! 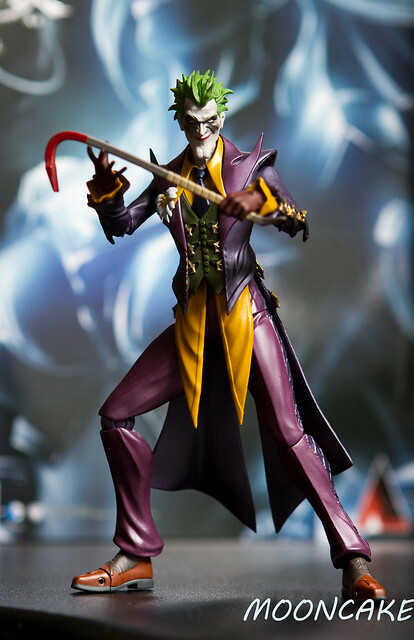 Are you still playing the game? If so, you might recognise some of the highlights that were put together for this clip embedded below, found on the game's official Facebook page. Take a look below, and let us know what you think or thought of the game if you played, are playing, or are thinking of playing Earth Wars! Still playing! And, to be honest, Furman’s writing for it has gotten so much better since the beginning. There are even good jokes and references to other media! I quit a few months ago. Alliance expectations were becoming too stressful, not to mention the douchebaggery of some members who simply could not comprehend that because they can sit around on their arses with their trust funds and have nothing to do, doesn't mean everyone else is in the same position and being a long standing member meant nothing. There were some good alliances out there, and I fully understood the expectations, but trying to squeeze as much playing time in during weekend events just became untenable. Freedom from it has been wonderful. By means of an update from the Space Ape/Backflip Transformers: Earth Wars mobile game, we have a new clip showing their next campaign - which is going back to the 80s and the originally styled Transformers character designs thanks to a new Power Core! The G1esque bots included feature the likes of Soundwave, Arcee, Megatron, Optimus Prime, Skywarp, Ultra Magnus and more - check them all out below, and let us know if you're still playing the game and what you think of this limited feature! I mean, wasn't everything in this game already G1-esque? Like, since it was based off the toy designs of a G1-based toyline, and all, it's kind of redundant to have this event in the first place. Also, Burn is super right. It had become a chore to spend all my time on this thing, especially on my already busy weekends. Worse yet? Some people have a very large, expendable income so even if I used all my power cells perfectly and worked the cooldowns perfectly, I wouldn't even make a dent in some of the higher performers. It kind of felt like ramming my forehead into a wall for seventy two hours and getting nothing but useless two star novelties for it. 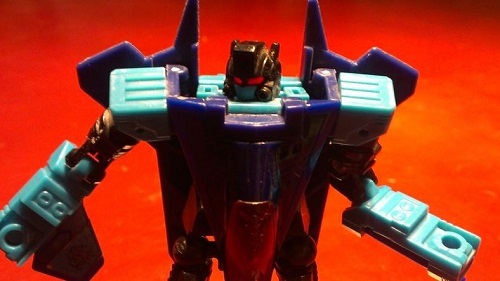 #Sideways# wrote: I mean, wasn't everything in this game already G1-esque? Like, since it was based off the toy designs of a G1-based toyline, and all, it's kind of redundant to have this event in the first place. I stopped playing some months ago cos out of the two transformers mobile games on my phone i only really wanted to have one of them and Forged to Fight has the movie bots I so much prefer over G1(esque) so making it even more G1 isn't gonna pull me back to it. Plus i far prefer a much closer view of robots smashing up each other so FtF is more my thing in other ways. #Sideways# wrote: Also, Burn is super right. It had become a chore to spend all my time on this thing, especially on my already busy weekends. Worse yet? Some people have a very large, expendable income so even if I used all my power cells perfectly and worked the cooldowns perfectly, I wouldn't even make a dent in some of the higher performers. It kind of felt like ramming my forehead into a wall for seventy two hours and getting nothing but useless two star novelties for it. Exactly this. And Alliances were getting more and more competitive so you either spent big (and then only ended up with a 3*) or go away. Loyalty meant nothing to those with Trust Funds. Good old Earth Wars. I got an email from them on the two year anniversary about free things, apparently I had removed the game from my device. I re-downloaded, and it was my temporary profile I set up after re-loading the game when the beta ended. Contacted customer support, they didn't get back to me until after the free stuff expired. So I have the correct profile again, just missed out on the goodies. I forgot how much funds people threw in to this game. I couldn't keep up at all with Seibertron's team that I was on with Cobotron and carytheone. They left before I did, but ultimately I just said "So long, and thanks for all the fish." It was fun at the beginning building a base and stuff, but unlike Sim City or The Simpsons: Tapped Out you can't just go on forever without throwing in a bunch of money. 4,123 pages were recently viewed by 665 unique visitors. This page was viewed 1 times on Friday, April 19th 2019 2:13am CDT. © 2019 Seibertron, Inc. DBA Seibertron.com. All Rights Reserved. Established June 2000. Seibertron.com is owned by Ryan Yzquierdo.